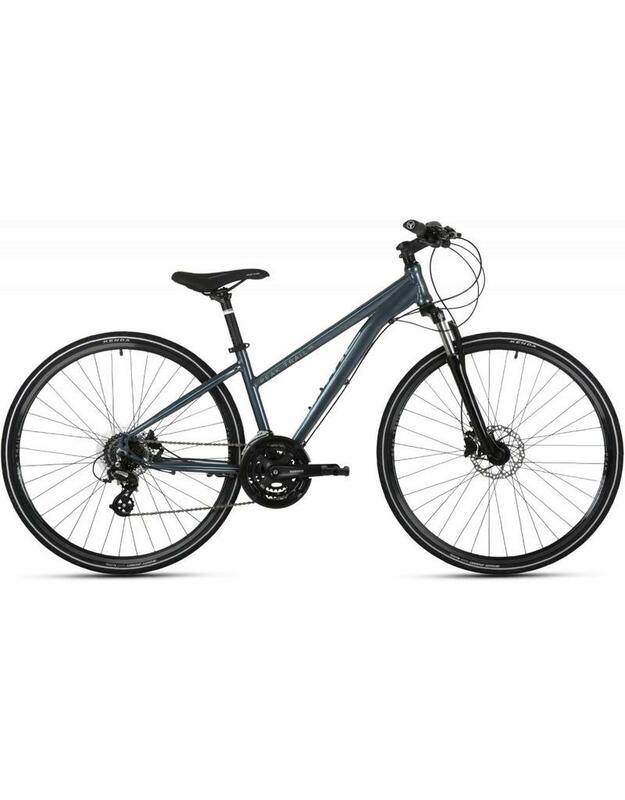 A versatile all-rounder that combines features from road and mountain bikes to deliver a comfortable and exciting ride, the Peak Trail is perfect for those seeking more from their daily routine on or off the tarmac. The Peak Trail 1 comes with disk brakes, front suspension forks and wider tyres to ensure a stable and satisfying ride. The padded saddle and ergonomic grips deliver on comfort, and the frame can be fitted with mudguards and a pannier rack to widen the bike's abilities. Other top features include the integrated cabling system, which protects your cables and gives your frame a sleek, clean appearance.